Bill Cosby, once popular for his comedy features, has been sentenced to up to ten years in prison for sexual assault. Judge Steven O’Neill of the Montgomery County Court of Common sentenced Bill Cosby, who had been out on bail to immediate imprisonment. According to BBC, Cosby, who was found guilty in April of three counts of aggravated indecent assault, would be listed in the sexual offenders register and must undergo counselling for life. “This was a serious crime, Mr. Cosby, this has all circled back to you. The day has come, the time has come,” Judge O’Neill said during the sentence hearing. Arguing Cosby sentence, the prosecutor, District Attorney Kevin Steele asked the judge on Monday to sentence Cosby to five to 10 years in state prison for the 2004 sexual assault of Andrea Constand, saying he had shown “no remorse” for his actions. However, Joseph P. Green, Cosby’s defense counsel, urged the court to place his client on house arrest, citing Cosby’s advanced age and blindness. Cosby was convicted for drugging and sexually molesting Andrea Constand in 2004. He has also been accused by 60 other women of sexual assault, but no other charges have been filed so far. I am Mbanugo Onyeka Nelson, a media analyst. Let's hit the globe with current news. 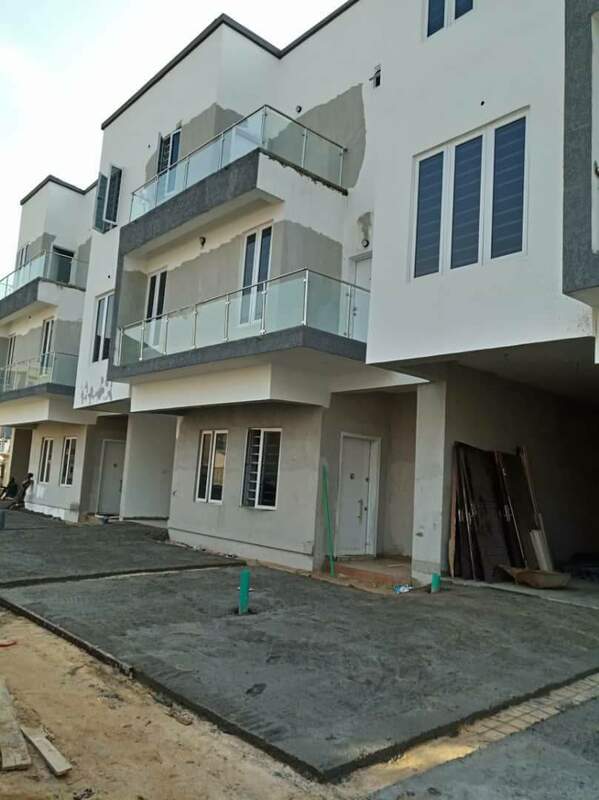 This tastefully built brand new 5 bedroom terrace duplex is located in a very serene and friendly environment with good residential ambiance, ample parking space and good road network. The rooms are en suite, spacious neatly tiled and fitted with wardrobes. It is situate in Ikota, Lekki just before VGC. Its close proximity to the 2nd toll gate makes it a desirable place to stay and at an AFFORDABLE rate too. You can be an instant home owner with this property. *Features* - Contemporary living room with terrace - Fully fitted ad equipped kitchen with gas cooker, extractor hub, microwave and Oven - All rooms are ensuite - A master bedroom with shower and walk-in closet - Luxuriously tiled floors - Parking space for three cars - Armored security doors - Central water system in the estate - It is located along a tarred road. *Available units left*: 2 out of 5 NOTE: The apartment is self serviced and there is no dedicated generator hence occupants will have to come up with an arrangement that benefits all. *Location*: Oral Estate by 2nd toll gate, Ikota, Lekki before VGC *Title*: Governor's consent *Price*: NGN75 million per unit *Promo price*: NGN70m only For inspection & payment, kindly contact us on 08097575535,07065245858.